Welcome to Deer Valley, a picturesque valley tucked away between the foothills of the mountains. Deer Valley is a small farm community known for its famous Deer Valley Cattle Farm and one of a kind hunting and fishing. If true relaxation and escape is what you’re after look no further then our quiet, isolated cabins in Deer Valley. When you’re ready for a taste of the famous Deer Valley Cattle head on down to Hickory House. They source all their cattle directly from local farms and boast some of the top angus cuts of beef both grilled and smoked. With the Smokies just minutes away and plenty of great food and local attractions Deer Valley is the perfect escape from your everyday life. Book now at SMBYO.com and get ready to enjoy a relaxing escape from reality as we take care of all the little details for you. 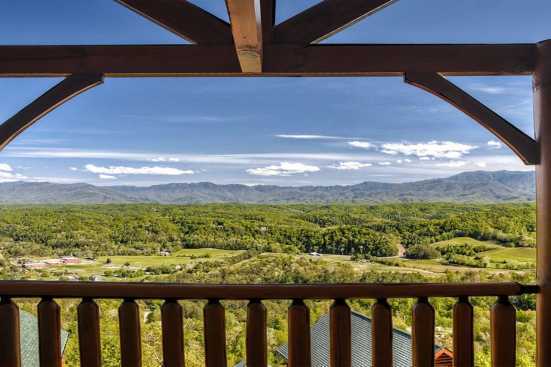 Whether you plan to take it easy and lounge around our beautiful cabins or adventure out onto the hunting grounds or through the beautiful Smoky Mountains, Deer Valley is the perfect destination for you. Book now at SmokyMountainsByOwners.com and get your vacation started off right.